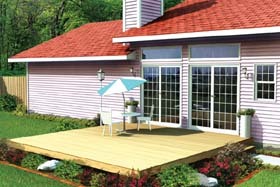 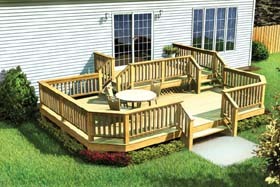 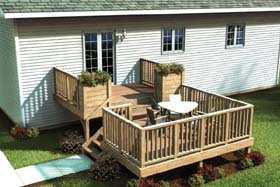 More than ever, decks are appreciated as a reasonably priced alternative to expanding the living area of the home. 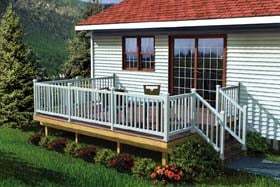 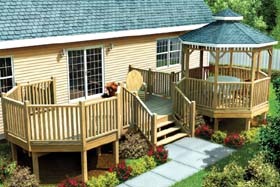 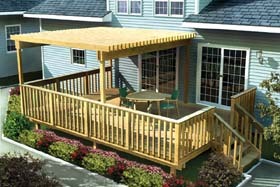 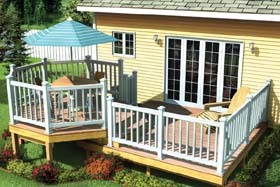 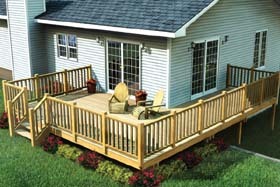 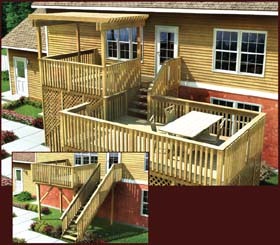 Decks provide easily accessed space for casual entertaining and daily enjoyment of the great outdoors. 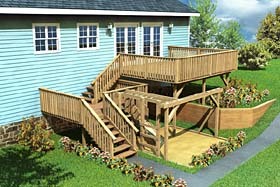 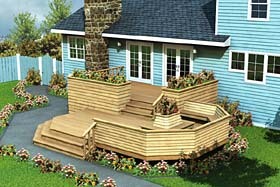 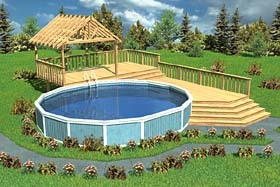 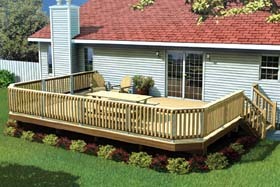 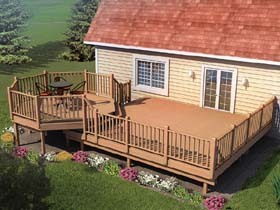 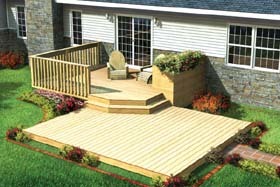 Traditionally, decks have been constructed from weather-resistant wood, such as cedar, redwood, or pressure treated wood. 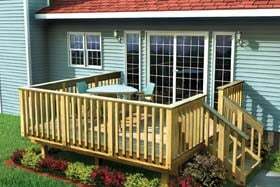 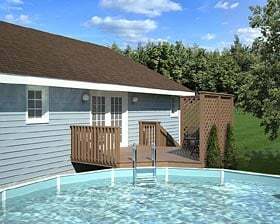 In more recent years, the availability of composite wood products has provided a more durable, environmentally friendly, maintenance-free alternative for deck construction. 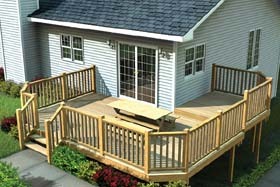 Our decks range in style from basic to intriguing, but all are designed with the do-it-yourself builder in mind.